If you want to succeed in marketing your business, it’s essential to form and implement a holistic and logical strategy. You should have short term and long term goals clearly defined and established. Communicate these goals with your team so everyone can stay on the same page and work as a team. Effective communication will guarantee that all of your goals are met by each department moving forward. In our expert opinion, there are three key marketing campaign goals that every business should have. You can always build on this foundation later, but make sure to incorporate these goals into your strategy. Many companies focus on getting more traffic to their websites. But just any non targeted web traffic is not going to convert into leads, and ultimately sales. This approach will not help you to grow your business. What you need to do instead is to focus on attracting visitor who are actually interested in what you have to offer. 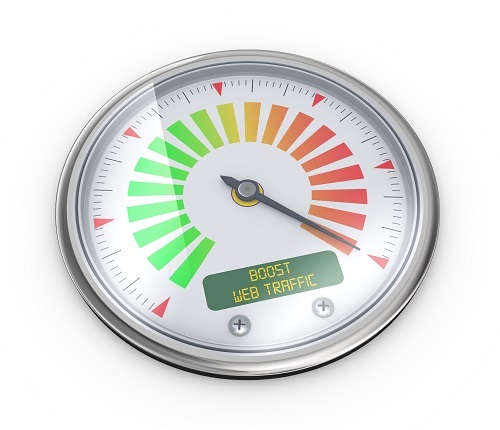 This targeted traffic will have a much higher potential for generating leads and eventually sales. The web traffic that is coming to that page is non targeted, and therefore not interested in the content (what you offer) on the page. The information that is on the page is not useful to those who are landing on the page. For the sake of this discussion we are focussing on possibility number one. As you decide what sort of targeting strategy to use, beware of gimmicks and tricks. What you need to do is work on creating a white hat (best practice) strategy and put it into practice. Focus on getting more relevant inbound links, publishing more blog articles with relevant keywords, and guarantee your website is SEO friendly. Most importantly, practice patience. Marketing campaign goals can’t be achieved overnight, but with time you can expand your reach. Becoming an industry authority, is exactly what it sounds like. You will become an expert in your field. The most important part of this is that your potential clients, recognize you as an industry authority. People buy from people or companies that they trust. One of the best ways to build trust with your possible customers is to share your valuable knowledge with them. First, you need to have fresh, interesting, and relevant content being posted on a regular basis. Second, put on an event or conference about a topic you know a lot about. Link up that event to your social media and you’ll kill two birds with one stone – lots of exposure for your business and expansion of your social reach. Third, guest blog for other industry authorities. If you can fulfill your marketing campaign goals partially by connecting your name with some of the bigger names out there, it will go a long way. Fourth, make sure that you are actively engaging on social media. Post your blogs, share information related to your industry, and interact with those who are also seen as thought leaders in your industry. A lot of companies direct their attention to keywords that only relate to their industry. You must also be ranking well for local search keywords. It doesn’t matter whether you’re a small or large business, national or international. People are still going to search using local keywords, so you don’t want to miss out on that search traffic. Form a plan for local marketing campaign goals and stick to it. You’ll be surprised with how much of a positive impact this will make. Build a foundation for your presence on local search results by using a variety of methods including local listings, maps, local social media, local review sites, and news. This is no means meant to be an exhaustive list of marketing goals. When developing your marketing strategy, these are good starting points, but make sure you put some thought into the specific needs of your company when developing your goals. For more advice on marketing campaign goals, contact the experts at Farotech.